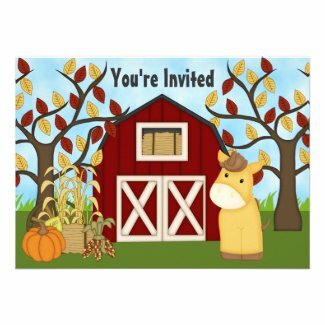 This Autumn birthday party invitation features a cute cow standing in front of a red barn that is surrounded by large trees with colorful fall leaves. It is decorated with a hay bail, cornstalks, colorful Indian corn and a pumpkin. 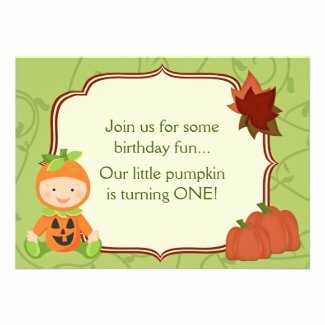 This is a great design for both boys and girl and can easily be personalized on-line with all your party details. 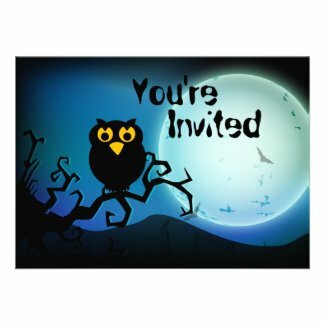 These two brand new invitations are both cute and spooky. 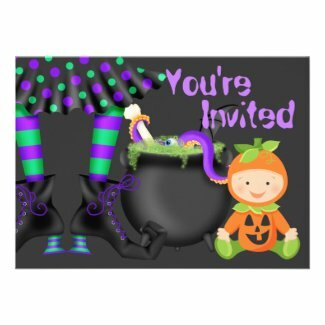 They are perfect for Halloween holiday birthday parties. Each invite can be personalized with your little one's name and party details. Take a look and select the invitations to view additional details and edit. 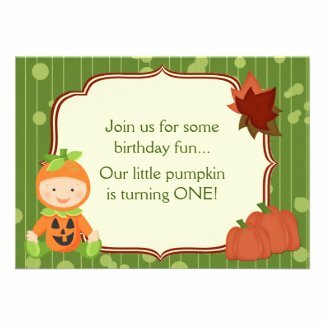 For even more personalized holiday invites take a look at Cute Halloween Birthday Invitations. 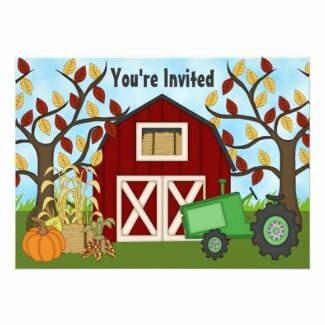 This cute Autumn Farm Birthday Invitation features a Green Tractor, a Red Barn, two large trees with colorful fall leaves, cornstalks, hay bails and other seasonal decorations. It's a great party invite for both boys and girls and can be personalized with all your party details. 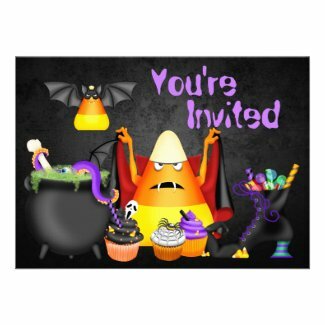 Just select the invite above to view additional details and edit. 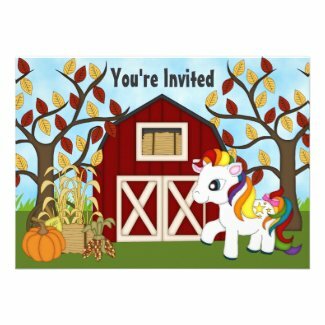 If you are having an autumn birthday party and have a little cowgirl who loves horses, these invitations are just what you need. There are invites for both blond and brown haired cowgirls with a variety of cute horses. Each custom invite can be personalized with your little cowgirl's name, age and specific party information. 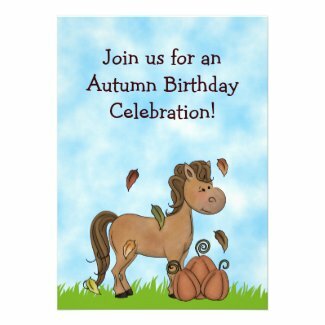 Select any of the following Autumn Horse and Cowgirl Birthday Invitations to view additional details and edit.